65 Slow Cooker Weight Loss Recipes That Will Help You Slim Down Fast! If you haven’t got a slow cooker, go and pick one up today. The basic ones are cheap, easy to use and can be a real game changer in your diet plans. Minimal prep, minimal clean up, minimal effort, maximum results. The slow cooker can make some incredible, healthy, weight loss meals that you can prepare in the morning and enjoy when you get home from work. Here, we have collected 65 (yes, 65!) amazing, weight loss slow cooker recipes that are perfect to fit into your diet plan. Simple to prepare, unbelievably delicious and super healthy, what’s not to love? As always, save and share your favourites on your preferred social media. Enjoy! 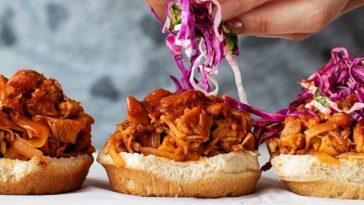 If you want to try any of these recipes but don’t have a slow cooker, here is our associate link* to some great options on Amazon: Slow Cookers On Amazon. 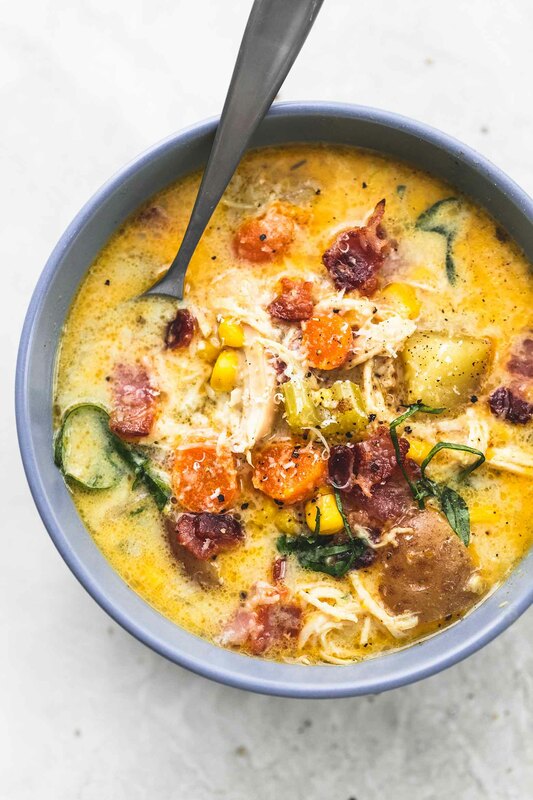 “Creamylicious slow cooker New England chicken chowder is loaded with savory chicken, bacon, and veggie goodness all made in your crockpot for an easy, tasty dinner.” Recipe: LeCremeDeLaCrumb. 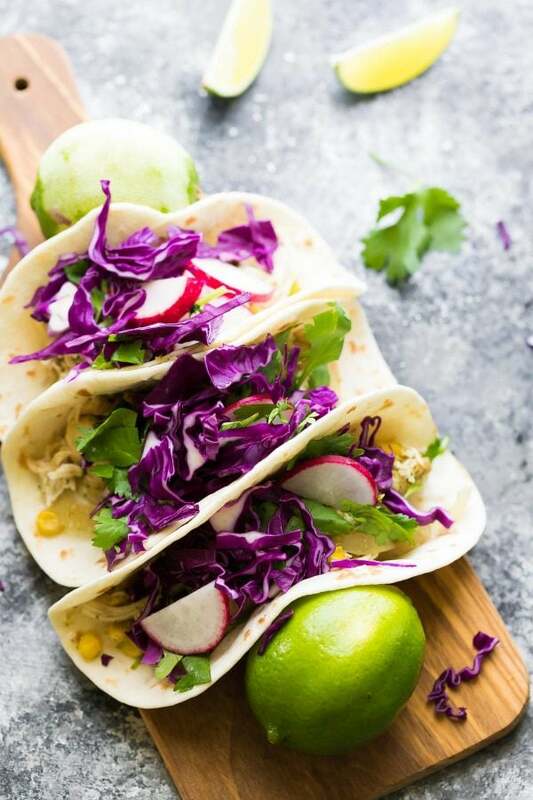 “These slow cooker cilantro lime chicken tacos can be assembled ahead and stored in the freezer until you are ready to cook them up. The cilantro lime chicken is versatile and is also great on salad, in wraps, pizza, you name it!”. Recipe: SweetPeasAndSaffron. “Slow cooker Spanish chicken stew is a cozy meal that brings a little Spanish flair to your dinner table, thanks to roasted red peppers, smoked paprika, and a pinch of saffron.”. Recipe: SweetPeasAndSaffron. 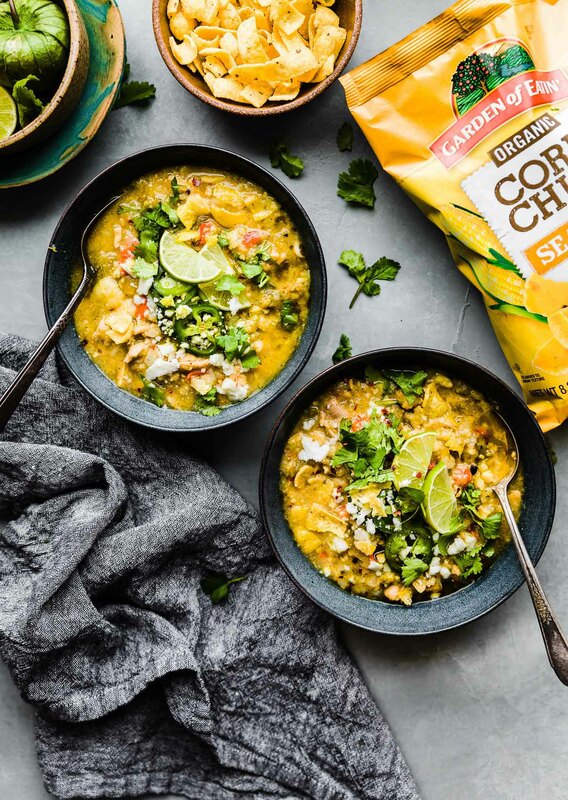 “Prep your lunch or dinner for the entire week with these Healthy Slow Cooker Coconut Curry Chicken Bowls!” Recipe: FitFoodieFinds. “It’s January, which means that many of us are focused on lighter, healthier meals as we recover from the indulgent holiday season. 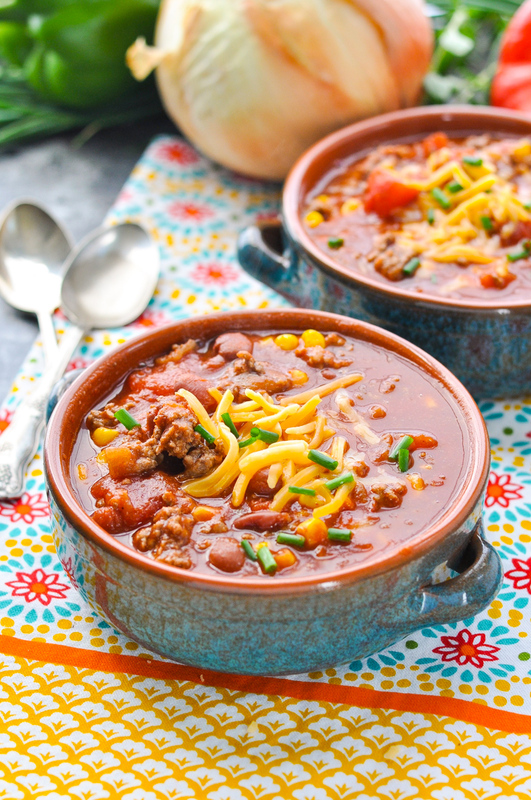 This Healthy Slow Cooker Chili is my family’s favorite easy, weeknight comfort food — and it’s full of lean protein, beans, veggies, and zesty seasonings!” Recipe: TheSeasonedMom. 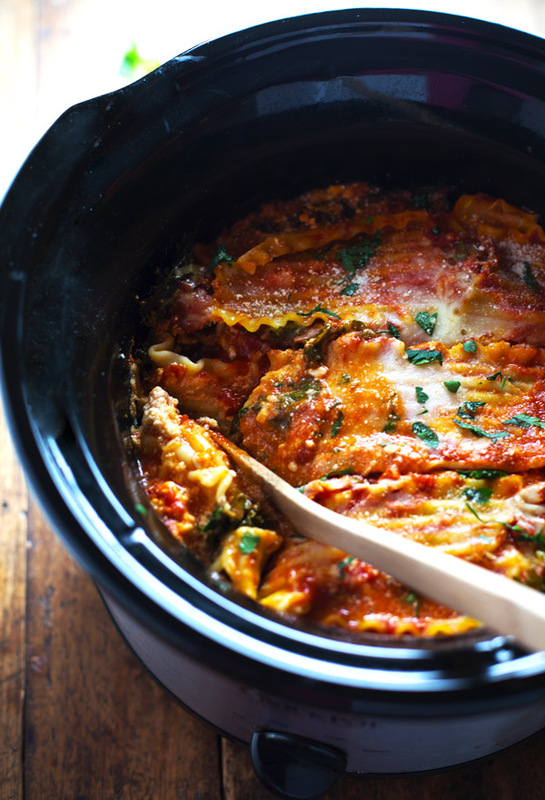 “This skinny Veggie Crockpot Lasagna? Packed with good-for-you veggies, super easy to make, and made with a handful of simple ingredients.” Recipe: PinchOfYum. “This flavorful Tortilla Chicken Verde Chili is made easy in the instant pot or stove top! 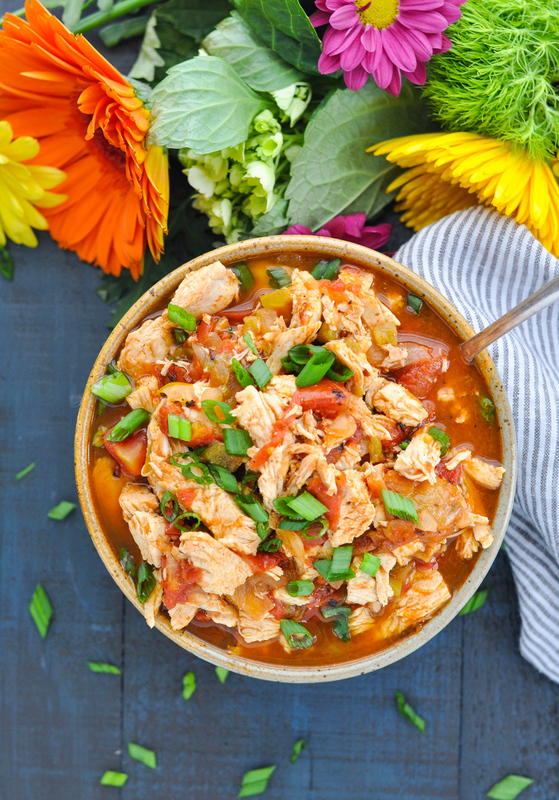 A delicious chicken chili packed with wholesome gluten free ingredients and a crunchy tortilla chip topping! 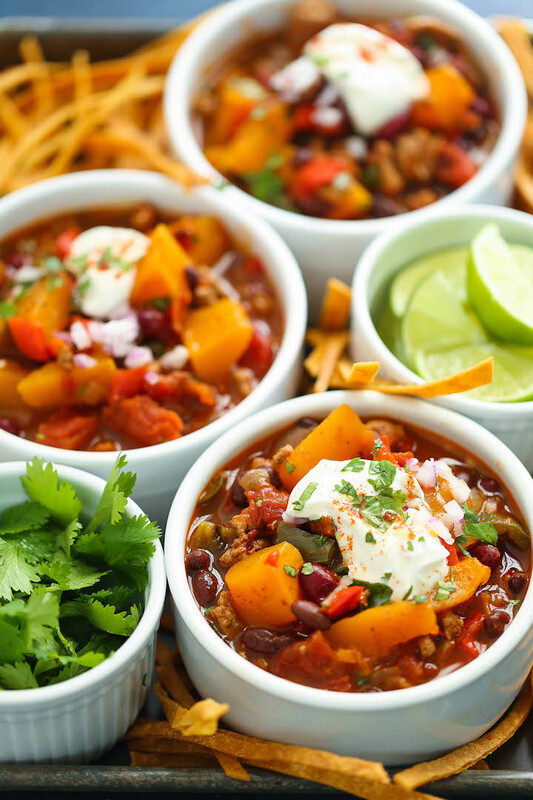 You’ll love this healthier twist on a classic Mexican inspired Chili! 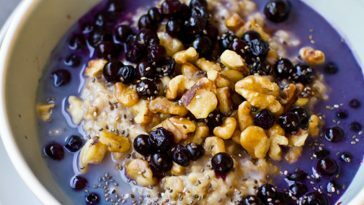 No beans required.” Recipe: CotterCrunch. “Did you get a new Instant Pot for Christmas? Or are you a die-hard fan of the old-school Crock Pot? 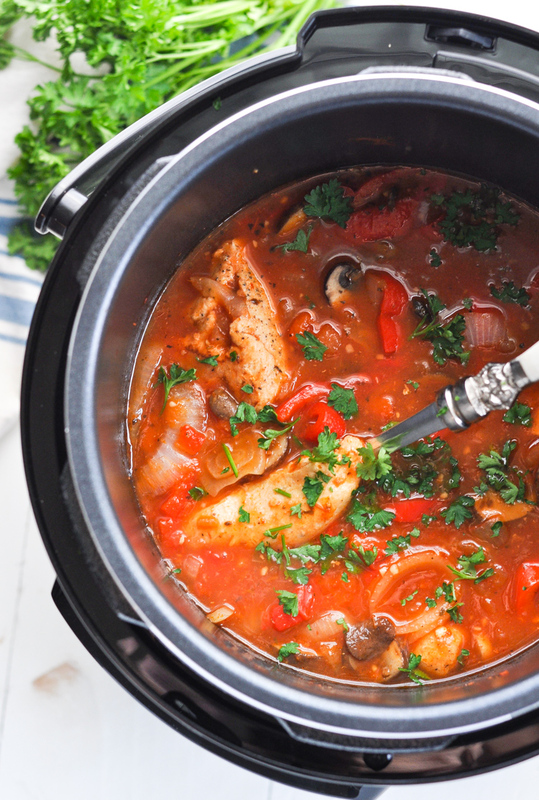 Either way, you can enjoy this easy Slow Cooker or Instant Pot Chicken with Peppers and Onions for a healthy Italian-inspired dinner!” Recipe: TheSeasonedMom. 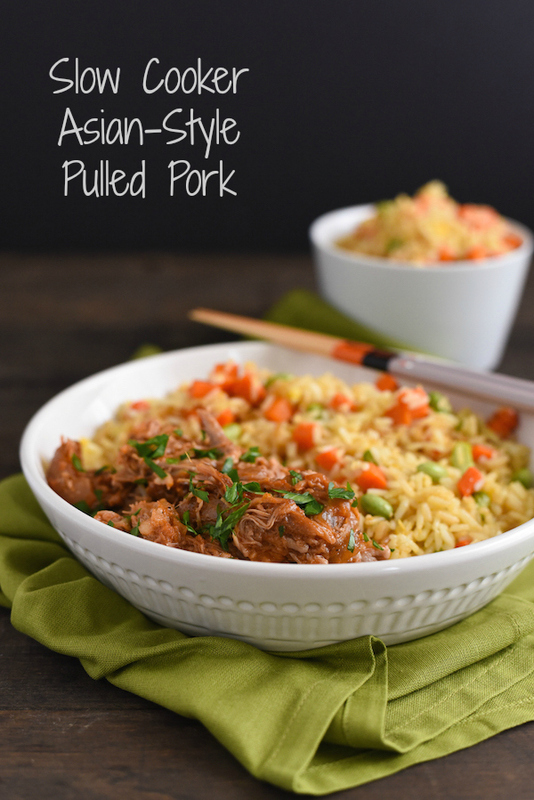 “Serve pork on buns or with rice, garnished with cilantro, if desired.” Recipe: FoxesLoveLemons. 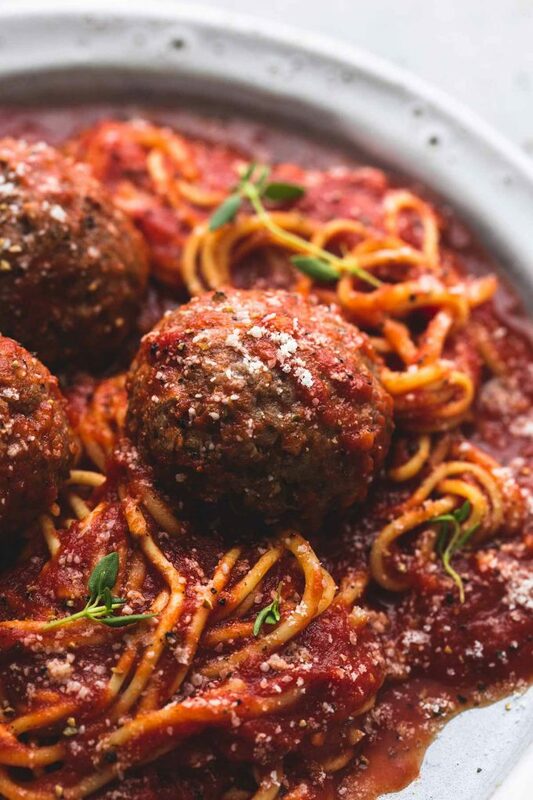 “Easy set it and forget it one pot slow cooker spaghetti and meatballs will be your go-to healthy spaghetti recipe! Everything – even the noodles! – are cooked in the crockpot and the flavor is outstanding.” Recipe: LeCremeDeLaCrumb. 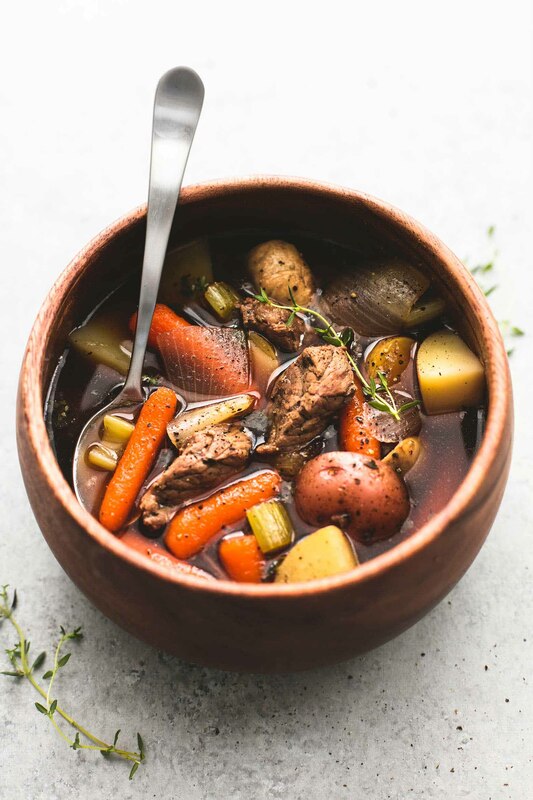 “HEARTY AND FLAVORFUL SLOW COOKER BEEF AND POTATO STEW IS CHOCK-FULL OF JUICY, TENDER BEEF AND SAVORY VEGETABLES. 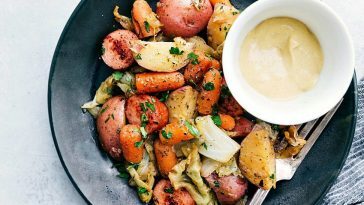 LET YOUR CROCKPOT DO THE WORK AND ENJOY THIS TASTY DINNER WITH JUST 10 MINUTES OF PREP!” Recipe: LeCremeDeLaCrumb. 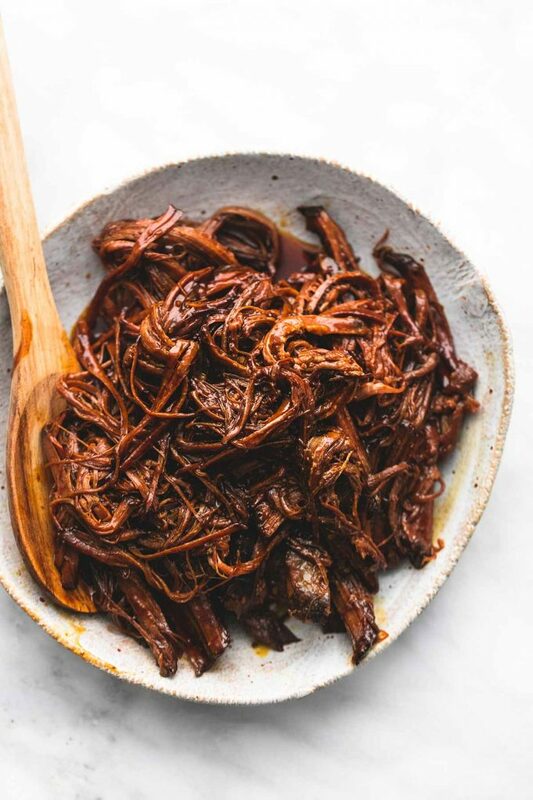 “Set it and forget it slow cooker honey bbq beef brisket slathered in sweet and rich bbq sauce is so juicy and tender it will melt in your mouth.” Recipe: LeCremeDeLaCrumb. 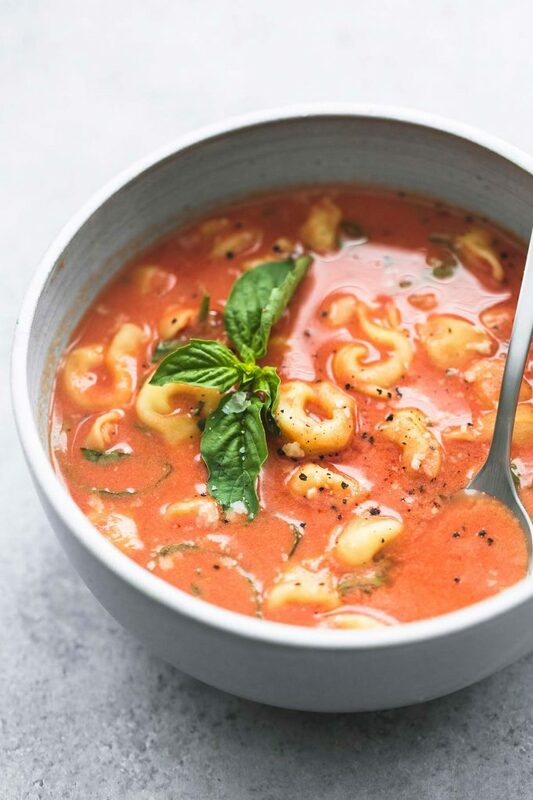 “Slow cooker tomato basil parmesan tortellini soup is easy, healthy, delicious, and a cinch to make in your crockpot – perfect for cool weather nights!”Recipe: LeCremeDeLaCrumb. 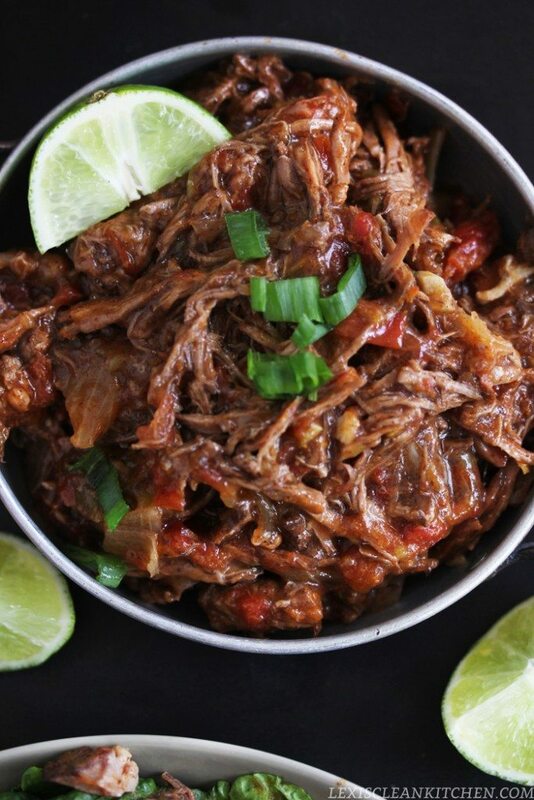 “This Beef Barbacoa (Slow Cooker or Instant Pot) is so flavorful and slow cooked to perfection made either in the slow cooker or the Instant Pot pressure cooker! It is a great recipe for leftovers, too!”. Recipe: LexisCleanKitchen. 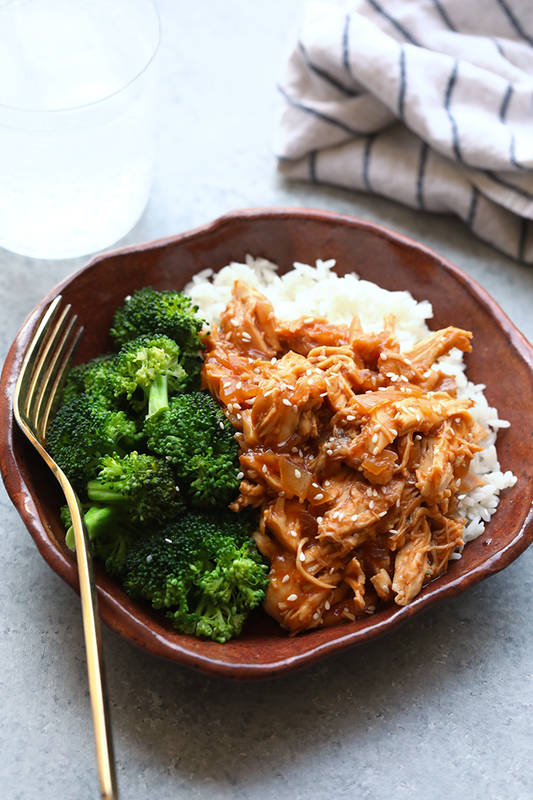 “This SUPER simple slow cooker sweet chili chicken has just 6 ingredients! And this chicken makes a perfect base for so many recipes, including quesadillas, rice bowls and tacos.”. Recipe: SweetPeasAndSaffron. 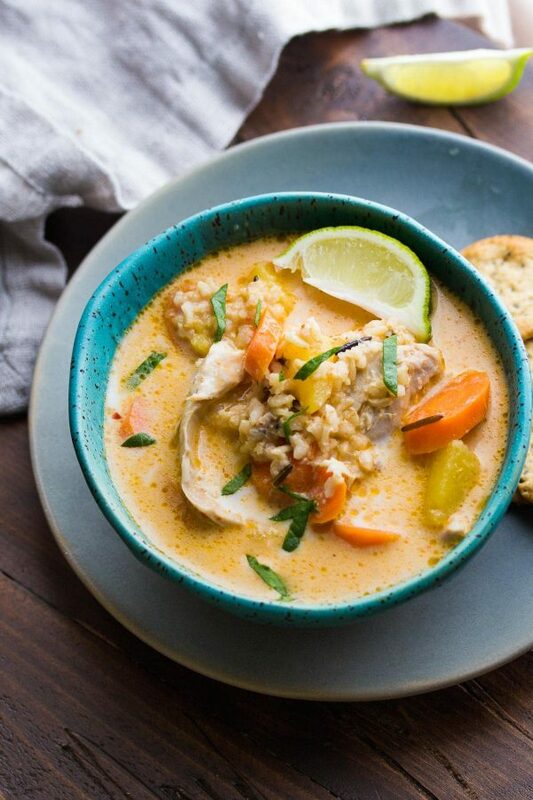 “This Thai Slow Cooker Chicken and Wild Rice Soup is a twist on a classic comfort recipe. A bit spicy, savory and sweet, and completely comforting!”. Recipe: SweetPeasAndSaffron. 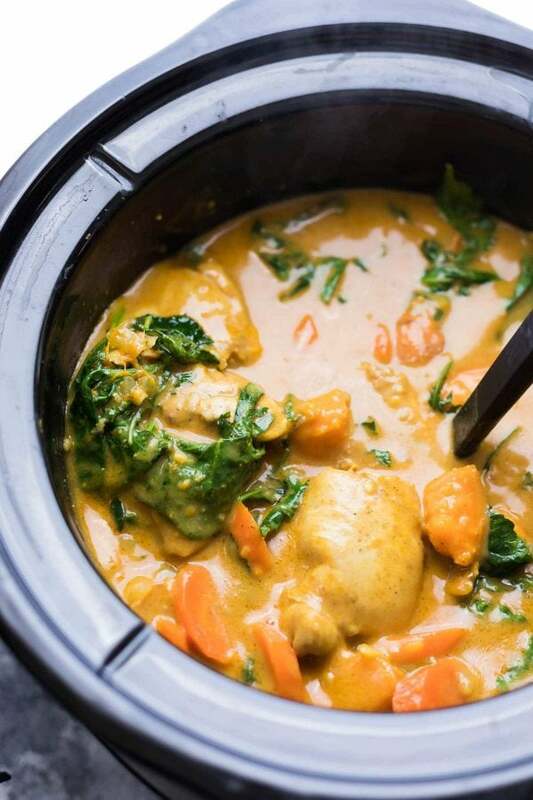 “Slow Cooker Sweet Potato Chicken Curry can be assembled ahead and stashed in the freezer for an easy, flavor-packed dinner. When you’re ready to serve, thaw and dump in the slow cooker and you’re ready to go!”. Recipe: SweetPeasAndSaffron. 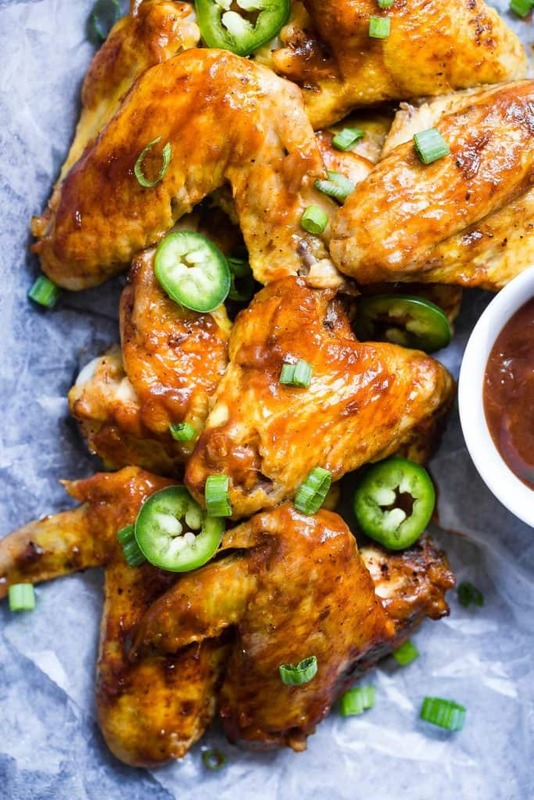 “Let the slow cooker do the work for you with these easy BBQ paleo chicken wings! A healthy, gluten, grain and dairy free, crowd pleasing appetizer!”. Recipe: FoodFaithFitness. 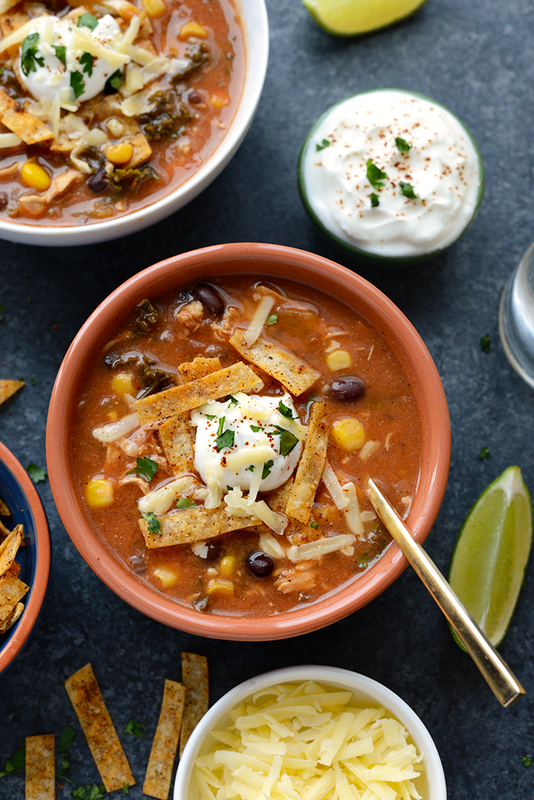 “Chicken Tortilla Soup has never been easier OR HEALTHIER! Throw everything in your crock-pot and you’ve got dinner ready before you know it!” Recipe: FitFoodieFinds. 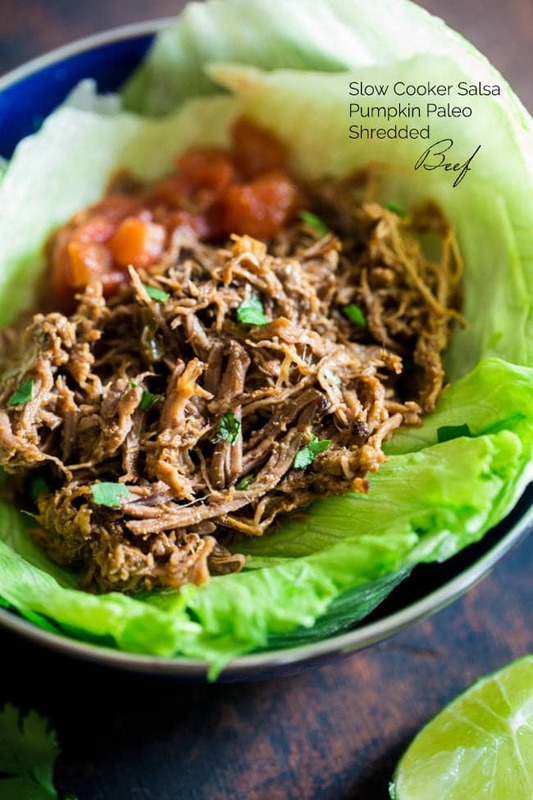 “This tender, paleo slow cooker roast beef is mixed with pumpkin and salsa and then shredded! 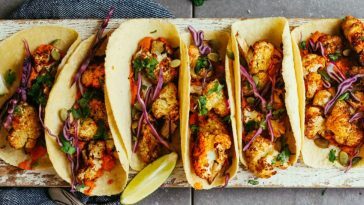 It’s perfect in tacos or on a salad for a healthy, weeknight meal, that is full of fall flavor!” Recipe: FoodFaithFitness. 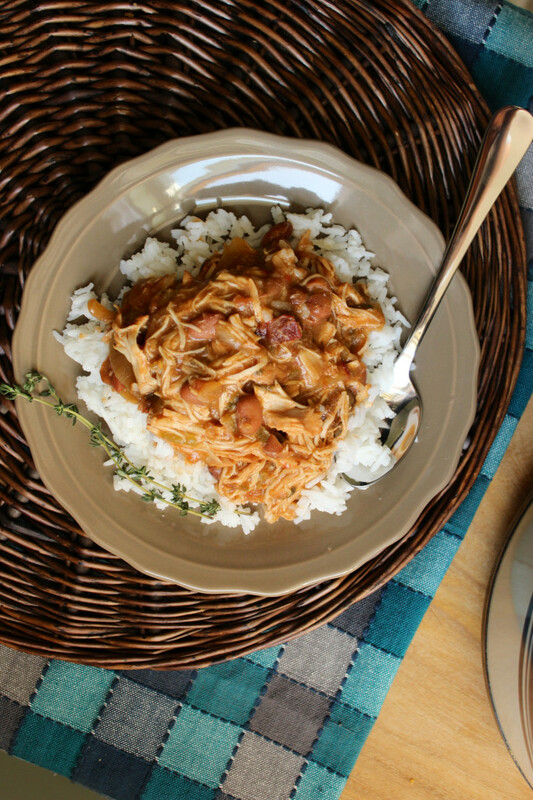 “Spice up dinner this week with this Instant Pot Moroccan Chicken. This chicken is finger-licking good and ready in 10 minutes! 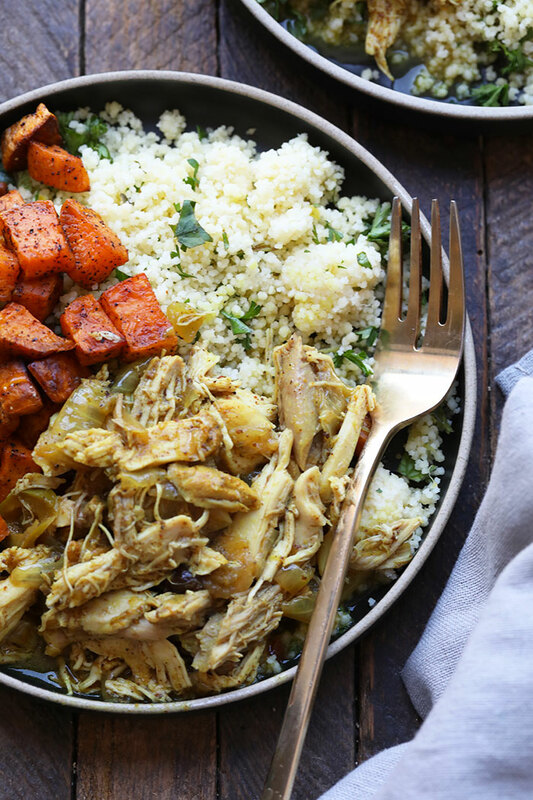 This Instant Pot Moroccan Chicken is perfect for a quick weeknight meal or for meal prep!” Recipe: FitFoodieFinds. 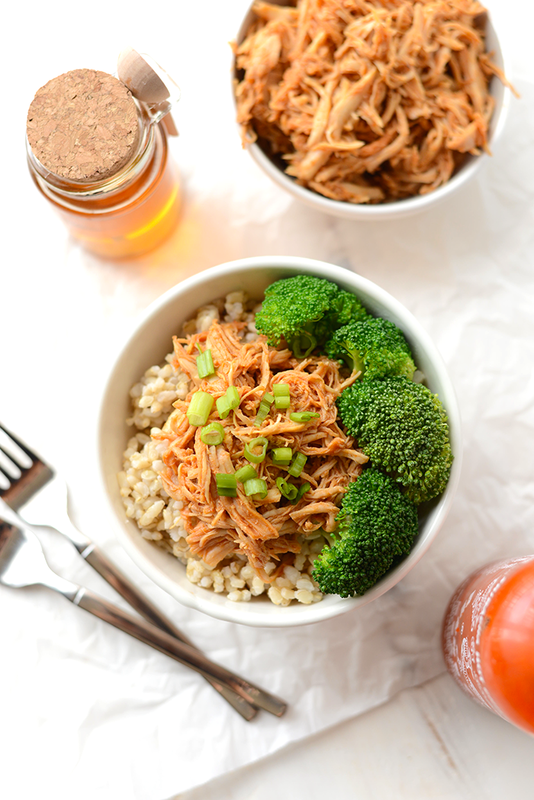 “All you need are five ingredients to make this delicious, clean-eating, slow cooker honey sriracha chicken that’s made with REAL food.” Recipe: FitFoodieFinds. 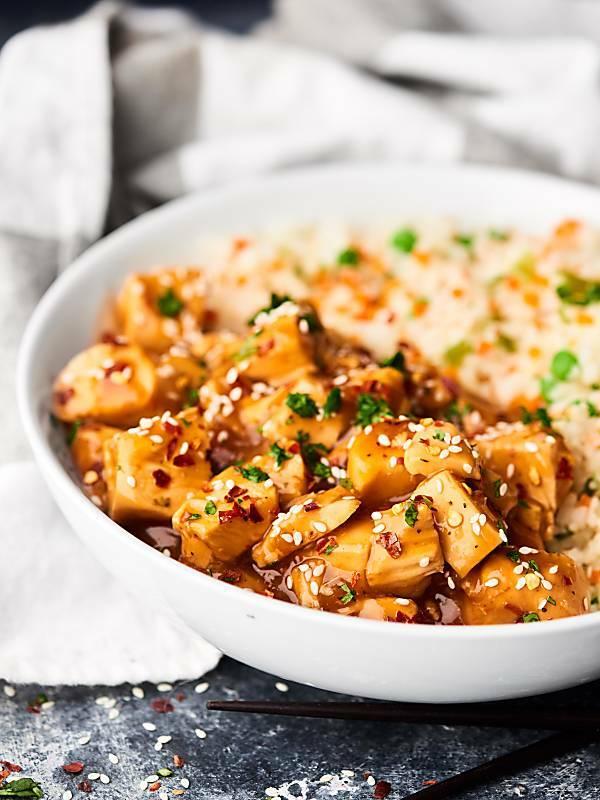 “Throw all of the ingredients for this Healthy Crockpot Sesame Chicken recipe into your slow cooker and have dinner ready in no time. 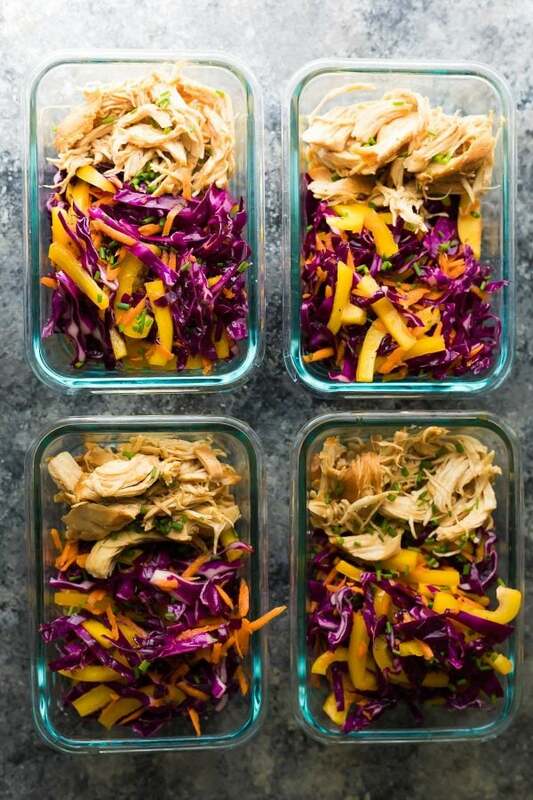 This healthy crockpot chicken recipe is kid-friendly, gluten-free friendly, and an excellent meal prep chicken recipe.” Recipe: FitFoodieFinds. “This vegetarian slow cooker meal is so flavorful you won’t even miss the meat! 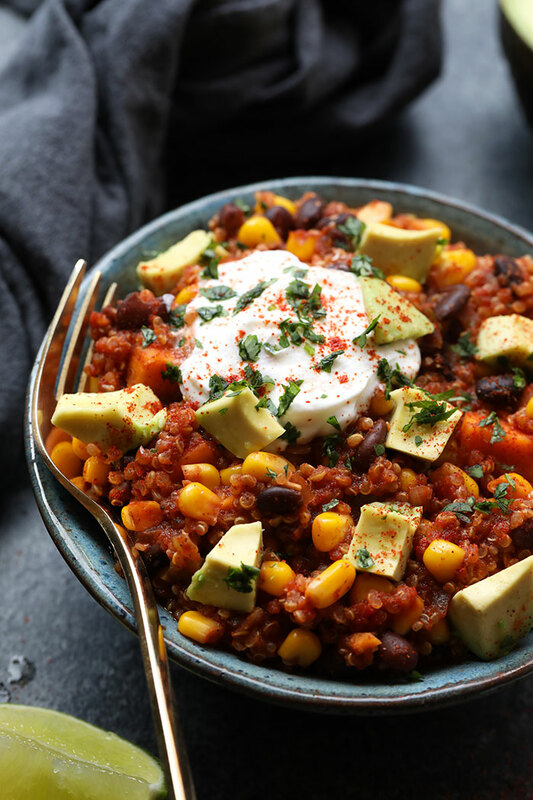 Throw all of the ingredients for this Healthy Slow Cooker Sweet Potato Mexican Quinoa in your crock pot for an easy weeknight dinner that’s vegan, dairy-free, and gluten-free.” Recipe: FitFoodieFinds. 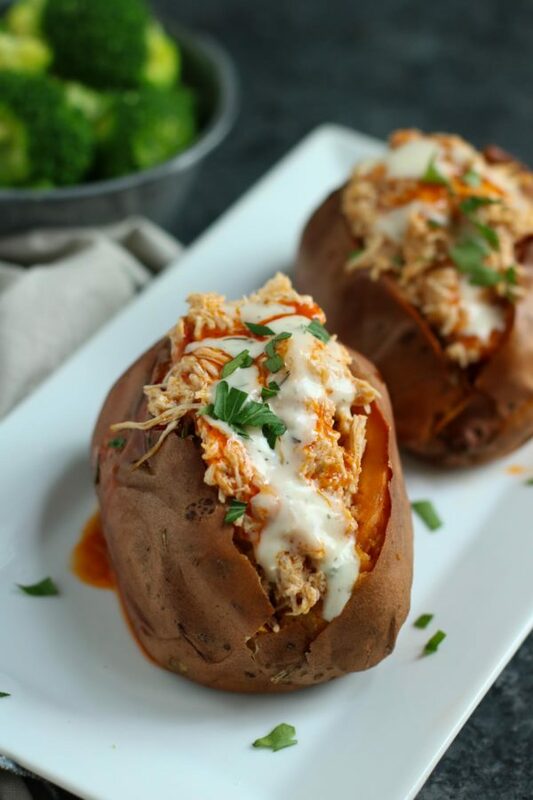 “This Slow Cooker Buffalo Chicken Stuffed Sweet Potato is where it’s at!” Recipe: TheRealFoodRDS. “Short on time? 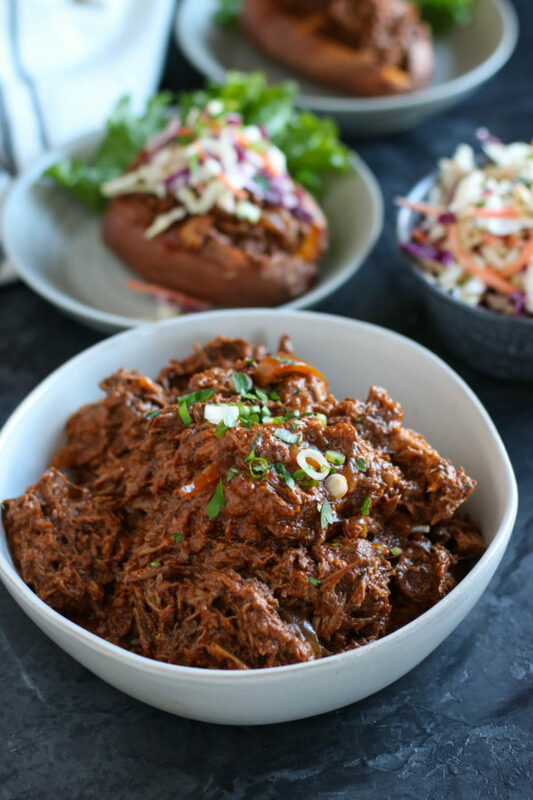 This Slow Cooker BBQ is the ultimate ‘set it & forget it’ kind of meal!” Recipe: TheRealFoodRDS. “Set it and forget it! A quick and easy dinner that the whole family loves can be ready with just 5 minutes of prep! 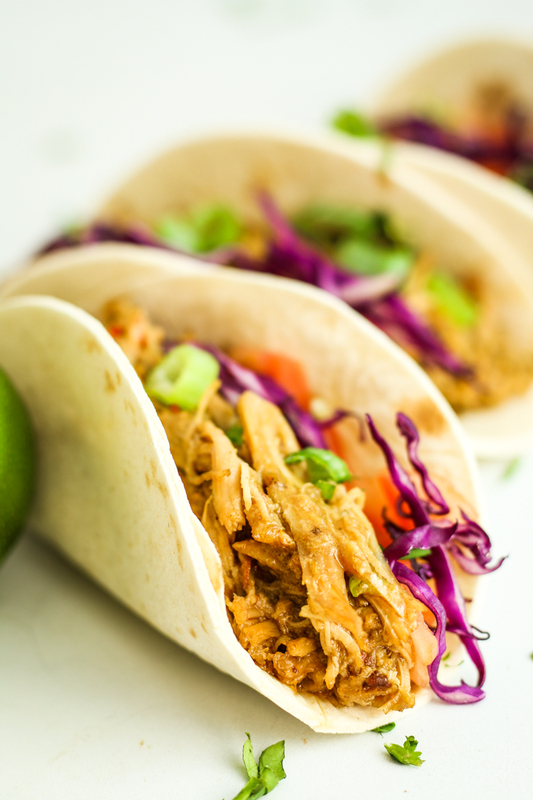 These Slow Cooker Buffalo Ranch Chicken Tacos are a healthy and easy twist on the classic weeknight dinner.” Recipe: TheSeasonedMom. 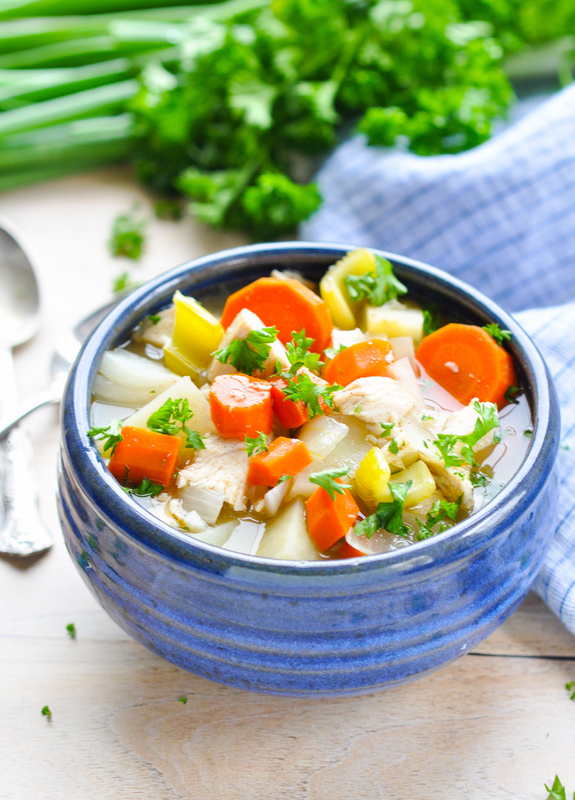 “Full of tender, juicy, and flavorful protein and veggies, this Healthy Slow Cooker Chicken Stew is a cozy comfort food that will nourish your family! With just a few minutes of prep, you can set it on your counter and tend to your other priorities. An easy, low-calorie, high-protein Crock Pot dinner will be waiting for you at the end of the day!” . Recipe: TheSeasonedMom. 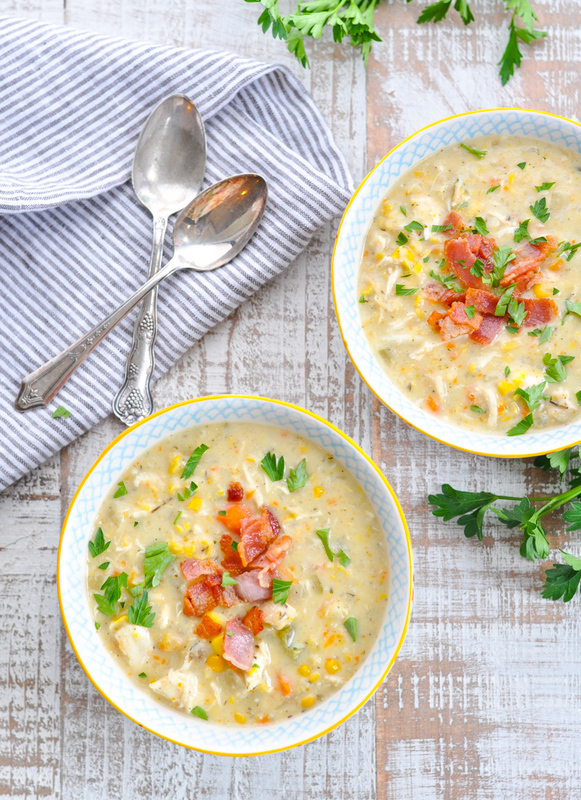 “A hearty and delicious Slow Cooker Chicken Corn Chowder is an easy and nutritious dinner to warm you from the inside out!” Recipe: TheSeasonedMom. 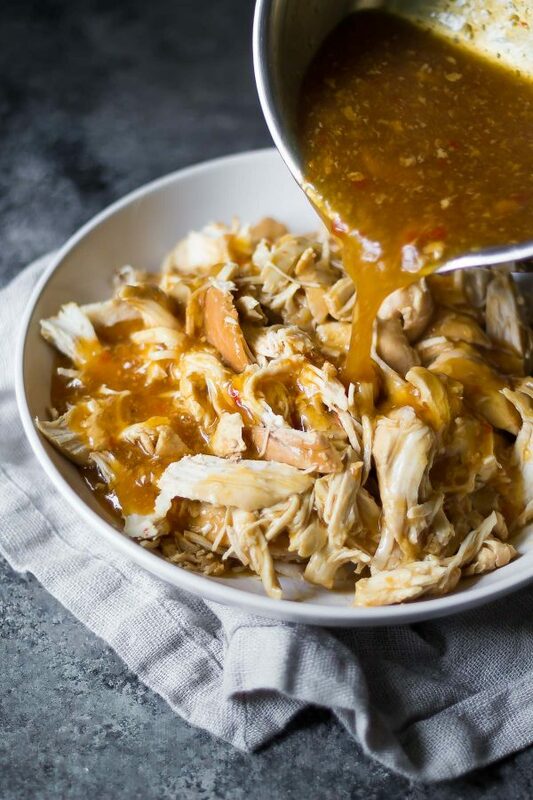 “One of the easiest, healthiest, and most versatile dinners that you’ll make all year, this Mexican Instant Pot or Slow Cooker Chicken is going to become a staple in your regular meal prep routine! It’s high in protein, it’s low in calories, and it only requires 5 ingredients!” Recipe: TheSeasonedMom. “Loaded with plenty of fresh herbs, garlic, and Mediterranean flavor, these Slow Cooker Greek Chicken Gyros are a healthy 10-minute dinner for your busiest days! The juicy, tender chicken is delicious when stuffed in a pita, piled high on rice, or tossed in a salad. And thanks to plenty of customizable toppings, it’s a meal that everyone at the table can enjoy!’ Recipe: TheSeasonedMom. 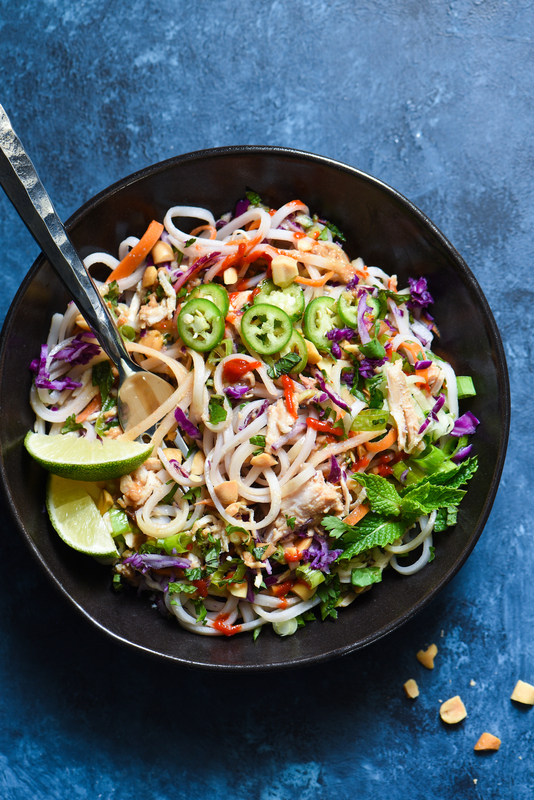 “These Slow Cooker Thai Turkey Noodle Bowls are a perfect example of MY idea of a great slow cooker recipe.” Recipe: FoxesLoveLemons. 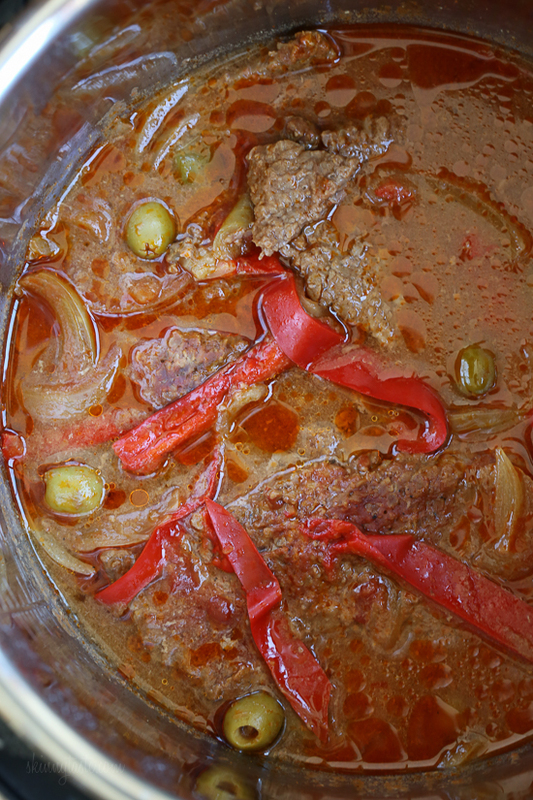 “Braised Cubed Steak with Peppers, Onions and Olives is a flavorful, budget-friendly and family friendly dish you can make in the Instant Pot, Slow Cooker or in a pot on the stove.” Recipe: SkinnyTaste. “This EASY Slow Cooker Chicken dish is cheesy and delicious, made with boneless chicken breast, black beans, corn and salsa topped with melted cheddar cheese. YUM!” Recipe: SkinnyTaste. “Um. I love pork. 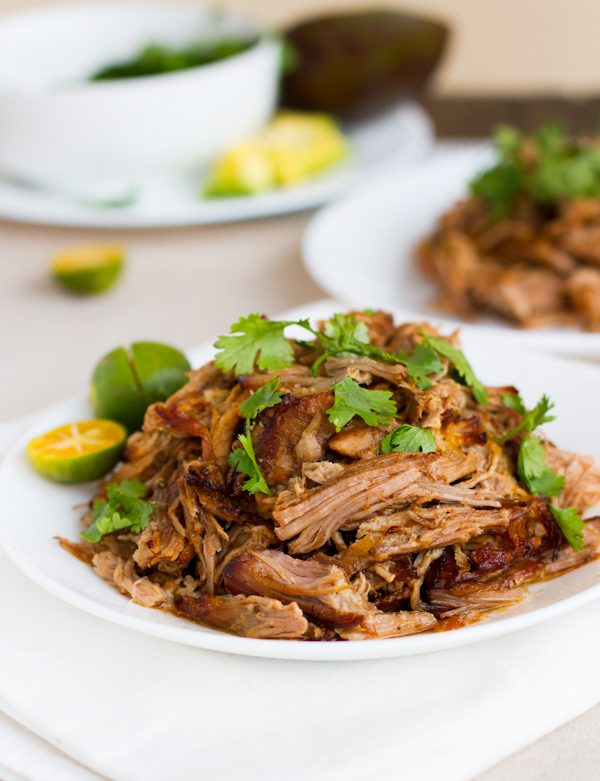 More specifically, I love carnitas.” Recipe: PinchOfYum. “It’s SOUP DAY! And I’m seriously excited for you. 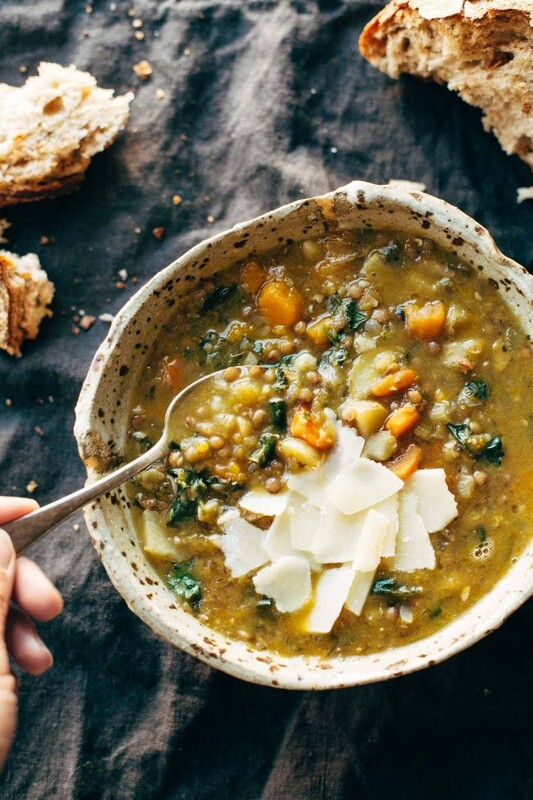 It’s time for the Best Detox Crockpot Lentil Soup.” Recipe: PinchOfYum. “How wonderful is spring produce? 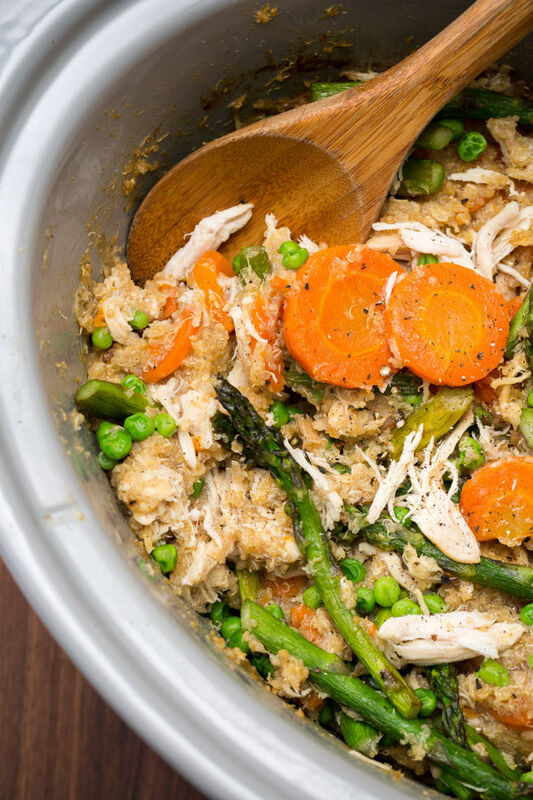 Tender-crisp asparagus, peas, and pesto are making an appearance in this super easy recipe that resembles a quinoa chicken casserole but can be made with minimal prep in a cozy little crockpot. Win!” Recipe: PinchOfYum. 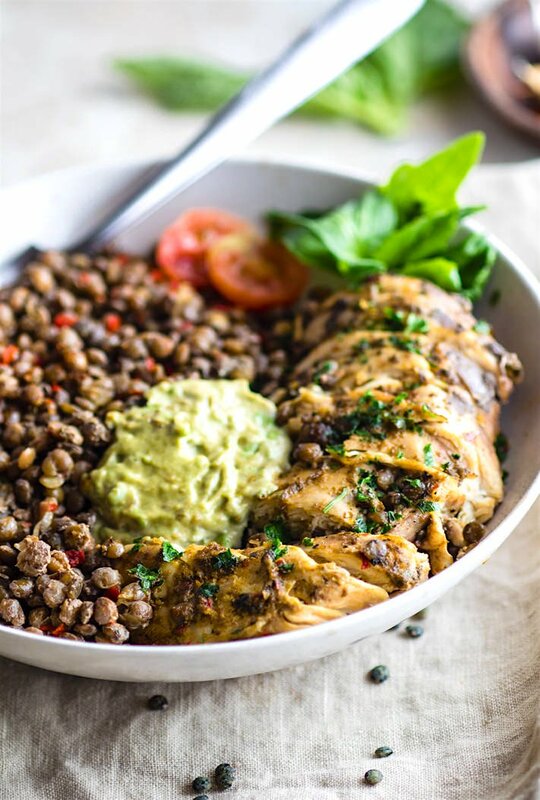 “Simple Garlicky Green Crock-Pot Chicken and Lentils! A FLAVORFUL and fresh gluten free crock-pot chicken recipe that’s packed full of fiber, nutrients, and protein. Easy to make in the crock-pot, healthy, and great for ANY time of year. Make it for the family or for weekend meal prep.” Recipe: CotterCrunch. 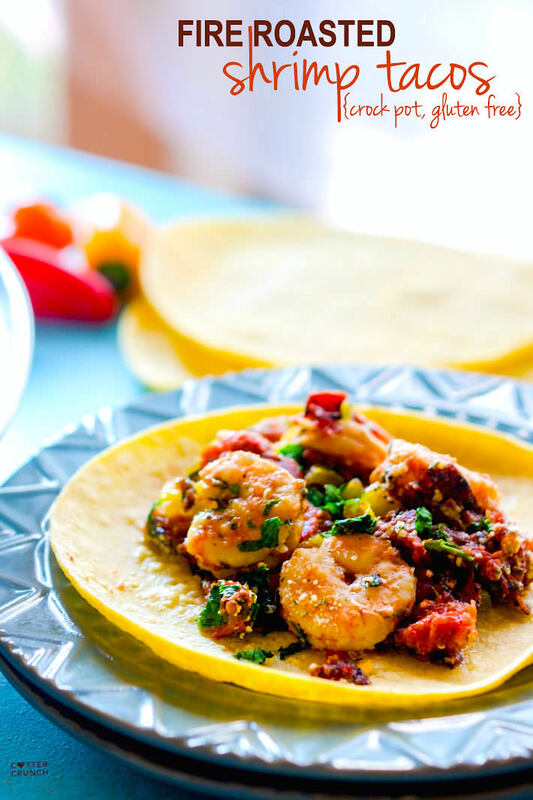 “Gluten Free Crock Pot Fire Roasted Shrimp Tacos! We love making crock pot tacos. This recipe requires little prep, but produces tons of flavor and nutrients! 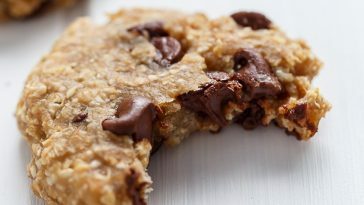 Great for busy days and easy dinners!” Recipe: CotterCrunch. “Crock Pot Paleo Sweet Potato Chipotle Chili! This beanless chipotle chili recipe is healthy but hearty, with an extra kick of spice! Made with simple ingredients you probably already have in your fridge! 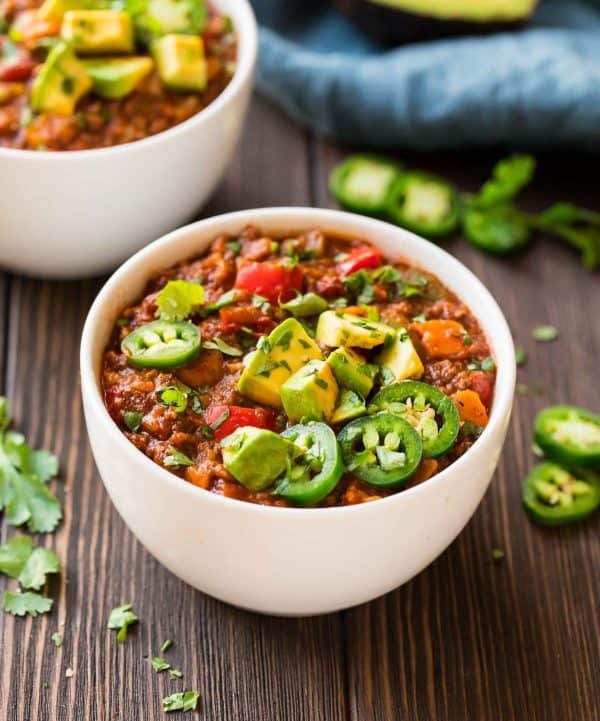 An easy whole 30 and paleo friendly chili made in the crock pot so you can be ready to serve with little effort.” Recipe: CotterCrunch. 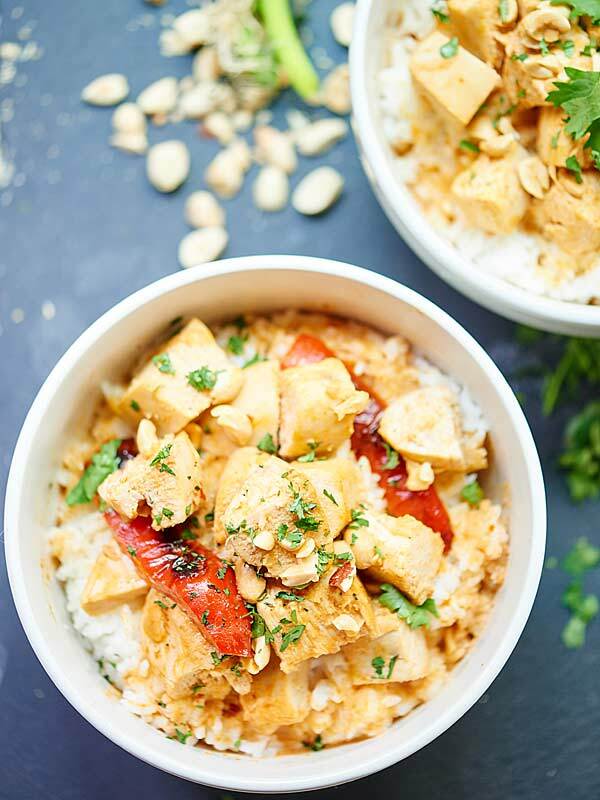 “This Crockpot Thai Chicken Curry is healthy, tasty, & only takes one dish & five minutes to put together! 3 hours of cook time & you’ve got one yummy meal!” Recipe: ShowMeTheYummy. 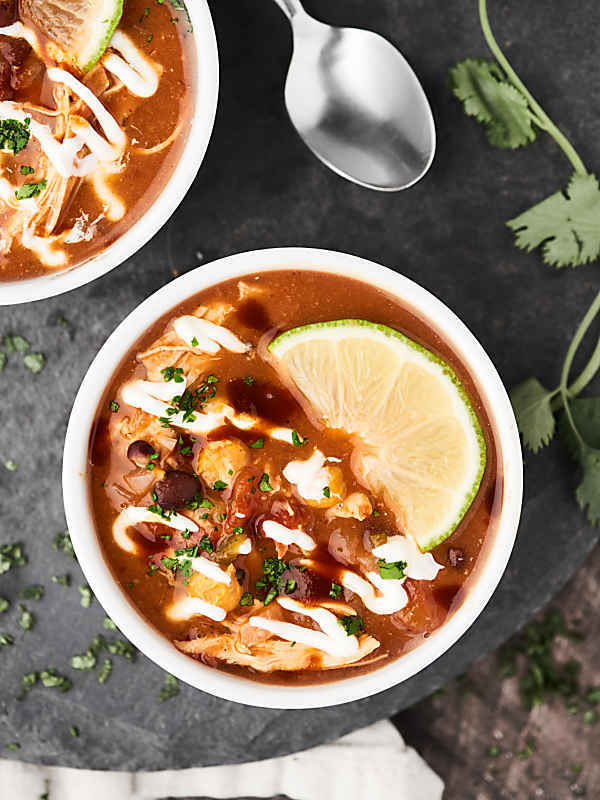 “This Crockpot Chicken Taco Soup comes together in a matter of minutes, is healthy, gluten free, and full of veggies, lean chicken, plenty of texture, and loads of spices!” Recipe: ShowMeTheYummy. 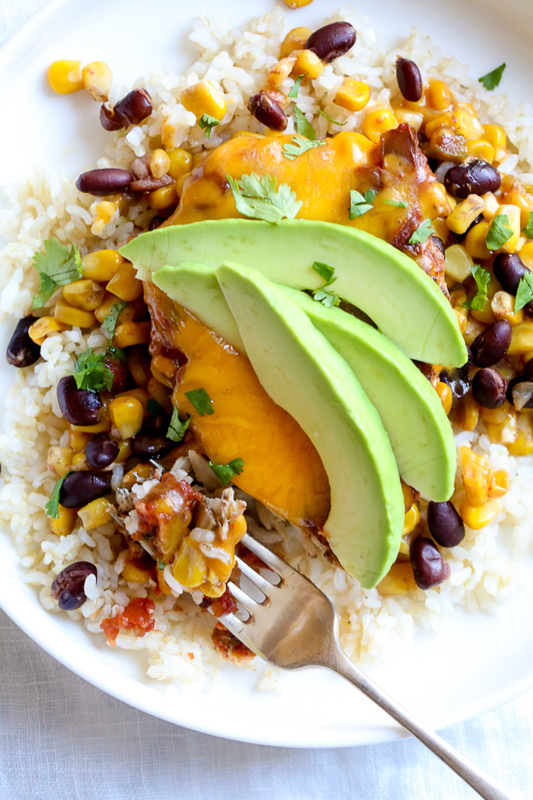 “Healthy Crockpot Mexican Chicken. Easy. Flavorful. Gluten Free. HEALTHY! 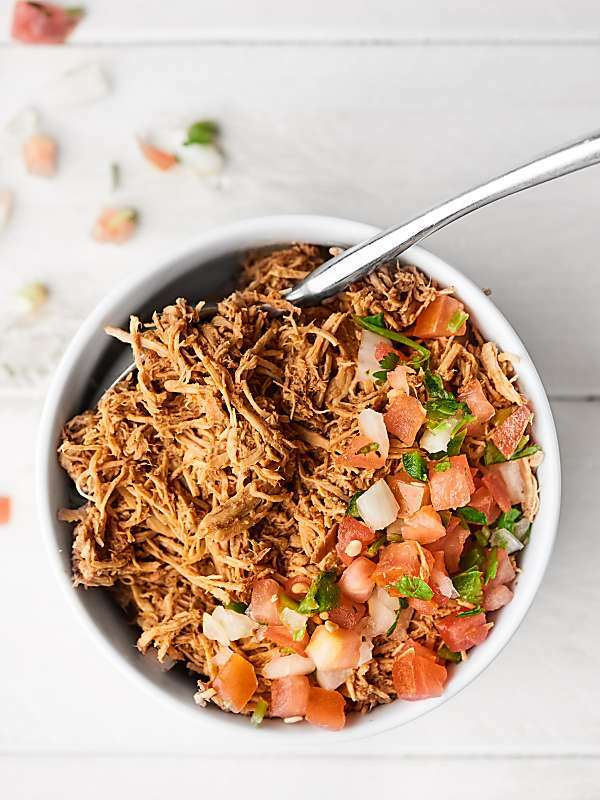 Perfect for meal prep salads, burrito bowls, Taco Tuesdays, nachos, and more!” Recipe: ShowMeTheYummy. 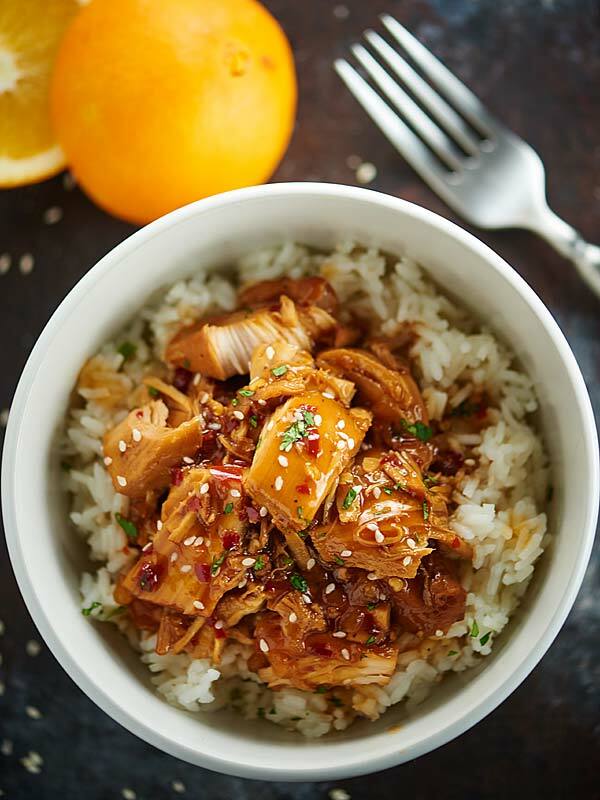 “This Crockpot Orange Chicken is better than take out! It tastes better, is so much healthier, and is ridiculously easy to make. Orange chicken for the win!” Recipe: ShowMeTheYummy. 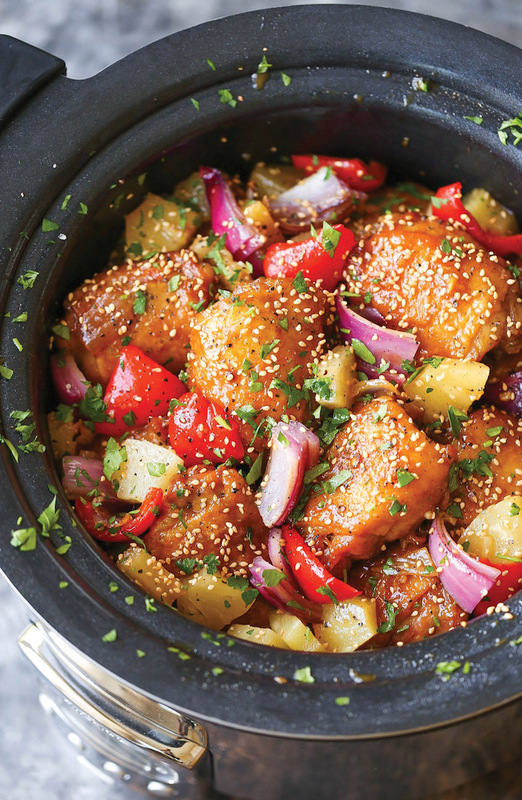 “This Crockpot Sesame Chicken is a more flavorful, health-i-fied version of a take-out classic! One of my go-to throw and go, quick and easy recipes!’ Recipe: ShowMeTheYummy. 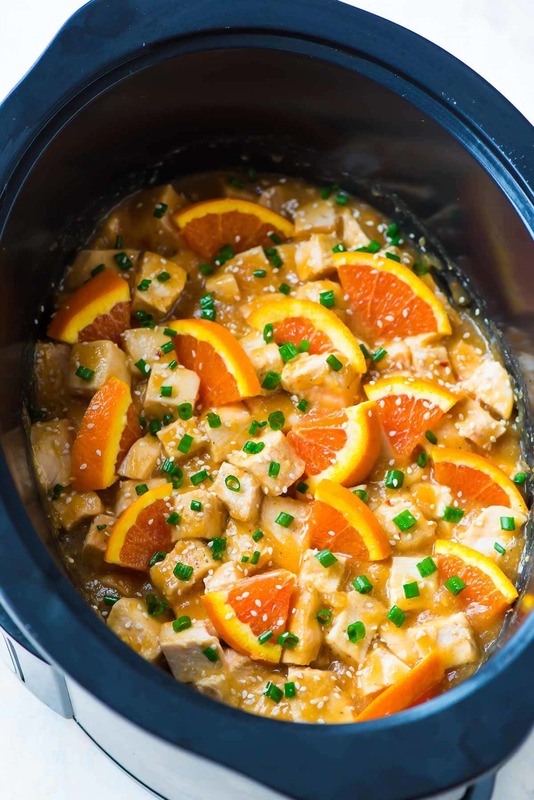 “Today’s healthy recipe for sweet, juicy Crockpot Orange Chicken is your easy answer to “What’s for dinner?” Now, can someone pretty please come over and help me choose a color for our kitchen cabinets?” Recipe: WellPlated. “Why hello there! 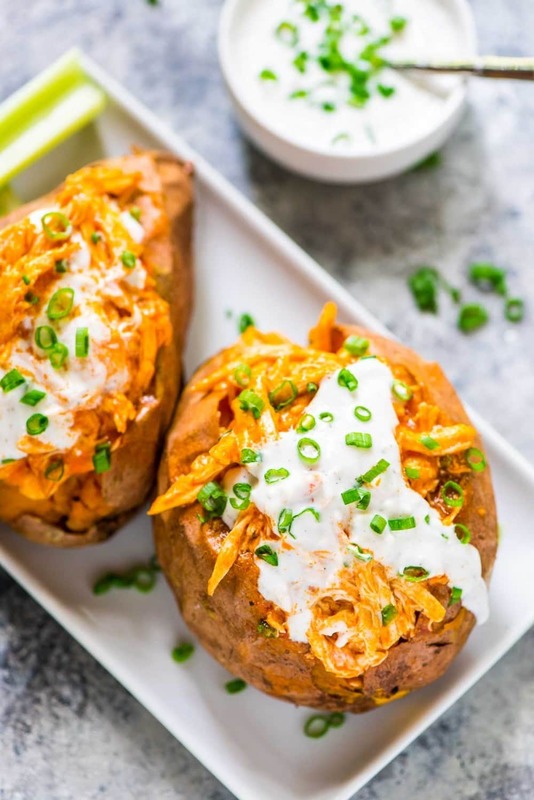 I’d like to introduce you to my fall dinner uniform, Slow Cooker Buffalo Chicken Sweet Potatoes.” Recipe: WellPlated. 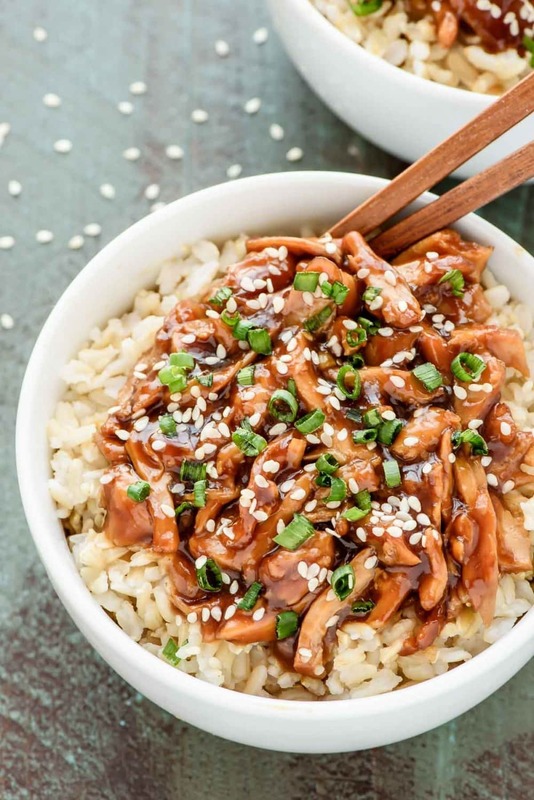 “Crock pot teriyaki chicken has all the convenience of takeout but is made in a slow cooker using simple, healthy ingredients. Sticky, sweet, and a little bit sassy, this easy Asian chicken dinner tastes absolutely delicious.” Recipe: WellPlated. 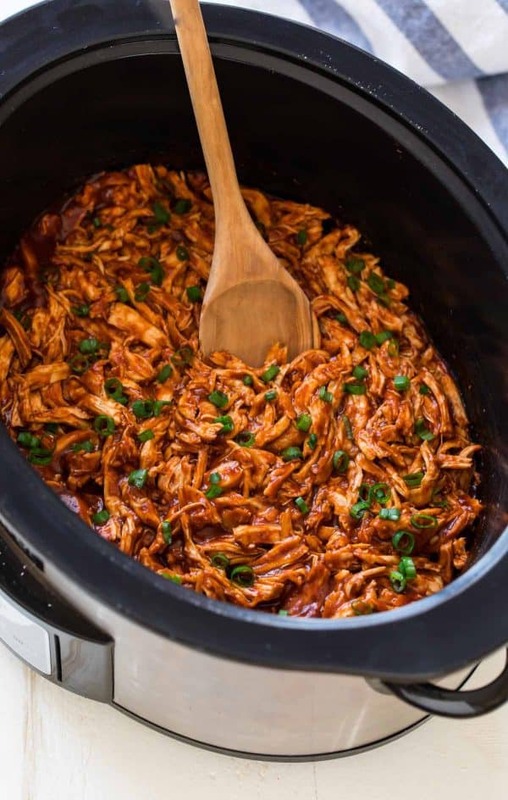 “Pull out the bibs, keep your napkin at the ready, and grab the jar of homemade barbecue sauce we made yesterday, because today we are making Crock Pot BBQ Chicken!” Recipe: WellPlated. 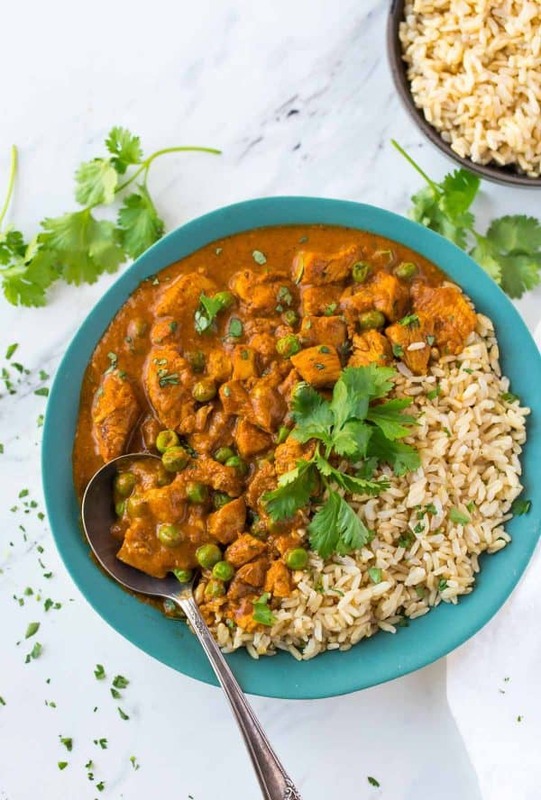 “This healthy Instant Pot Tikka Masala recipe was inspired by the month I spent in India, otherwise known as 30 of the most delicious days of my life. India wasn’t a country I’d long planned to visit. In fact, before I went, I wasn’t even sure if I liked Indian food. Chicken tikka masala (and every Indian food recipe I tasted after) crushed that doubt in one bite.” Recipe: WellPlated. “At the risk of making a broad, sweeping, semi-dramatic statement that I may retract at a later time (broad? dramatic? MOI? 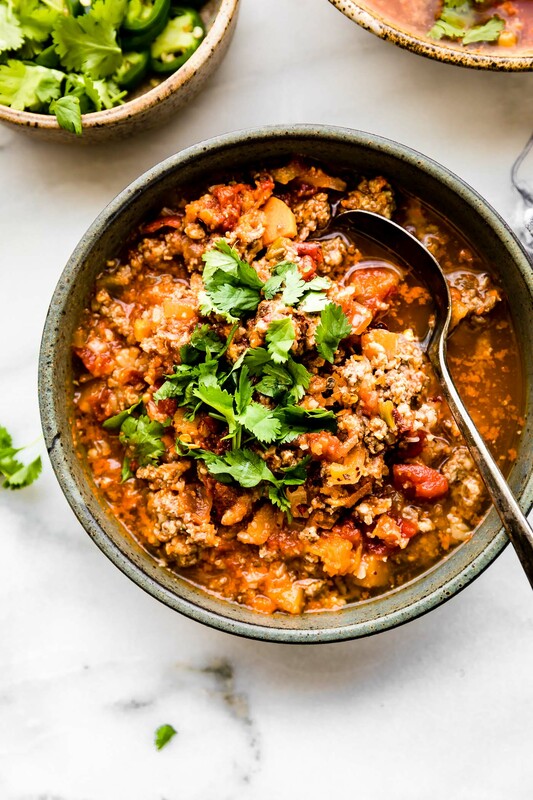 ), this easy Instant Pot Paleo Chili might just be the perfect fall and winter food. 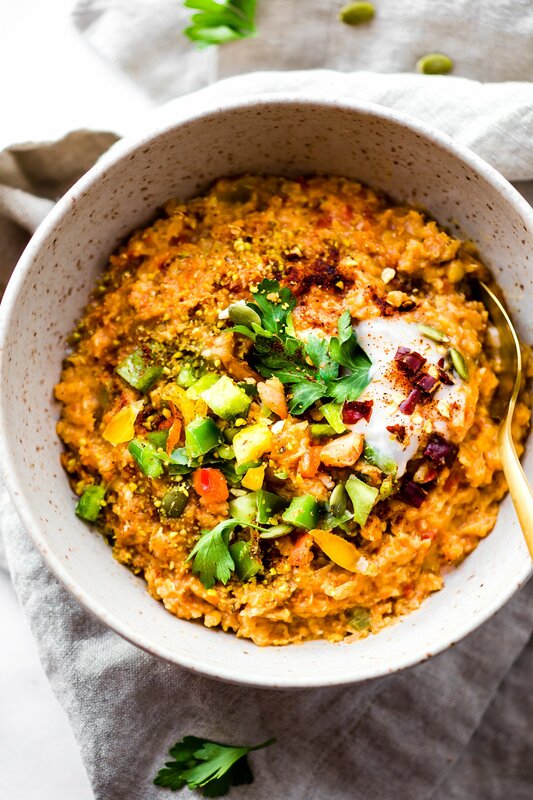 It’s hearty and healthy, freezes to feed two or scales to feed 20, is packed with hidden veggies (I won’t tell your kids if you won’t), and, best of all, is the kind of meal that leaves everyone full, happy, and asking for seconds.” Recipe: WellPlated. “A healthy, easy Mexican chicken casserole recipe your entire family will love! 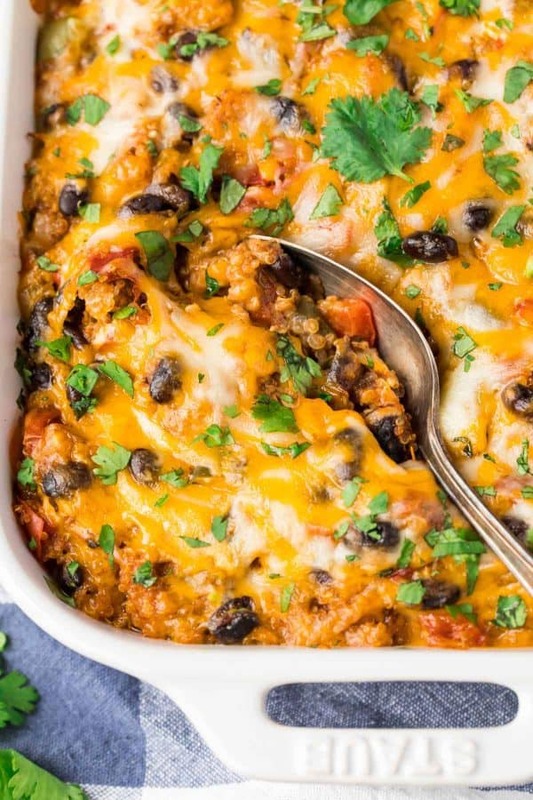 Made with quinoa, fresh veggies, black beans, and cheese, this creamy, cheesy Mexican casserole has received dozens of glowing reviews. 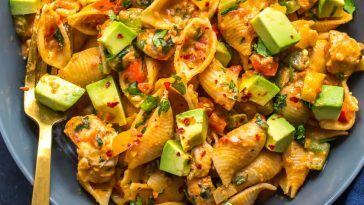 You’ll love it too!” Recipe: WellPlated. 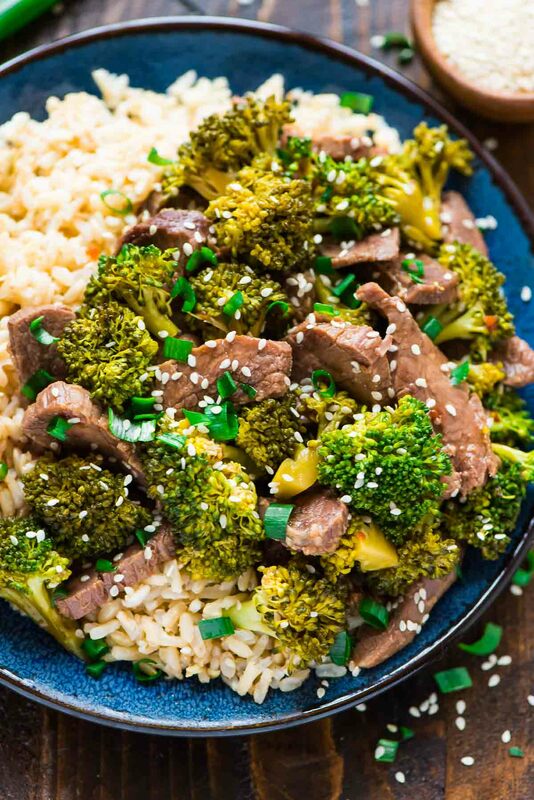 “Beef and broccoli might be a takeout classic, but it’s one of the easiest and most budget-friendly stir-fry dishes you can make at home. Broccoli is fairly inexpensive, particularly now that it’s in season, and because the beef is meant to be thinly sliced anyway, it’s ideal for stretching to multiple servings.” Recipe: WellPlated. “I know, I know. Slow cooker beans isn’t exactly the kind of recipe that screams “happy spring!” But I like beans and I love my slow cooker, so here we are. Seasonality aside, this recipe is one to add to your arsenal of easy, healthy, go-to dishes.” Recipe: TheFitchen. 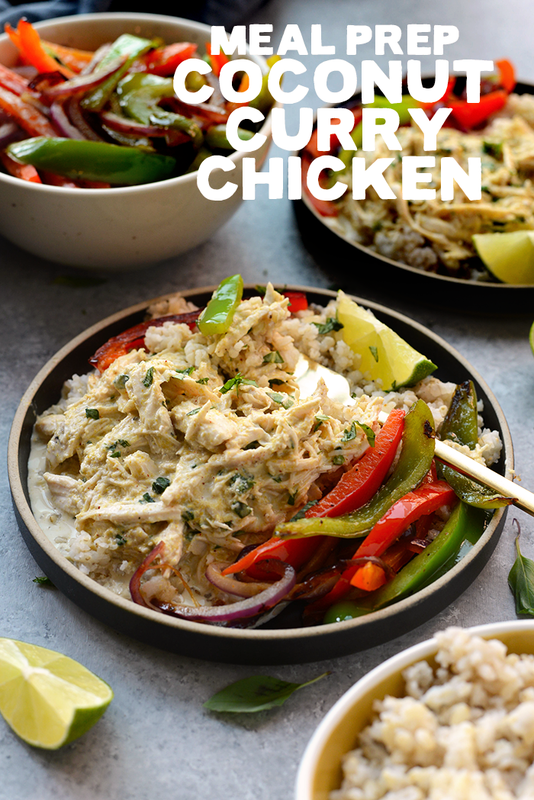 “This crockpot Thai chicken recipe is perfectly spiced and incredibly tender. 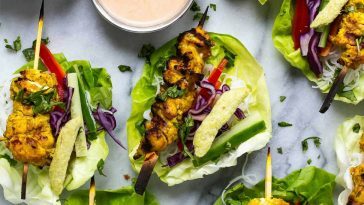 The chicken can be used for tacos, sandwiches, lettuce wraps, and more” Recipe: TheFitchen. “Everyone’s takeout favorite made right in the crockpot! The chicken is SO TENDER and JUICY bursting with so much flavor!” Recipe: DamnDelicious. 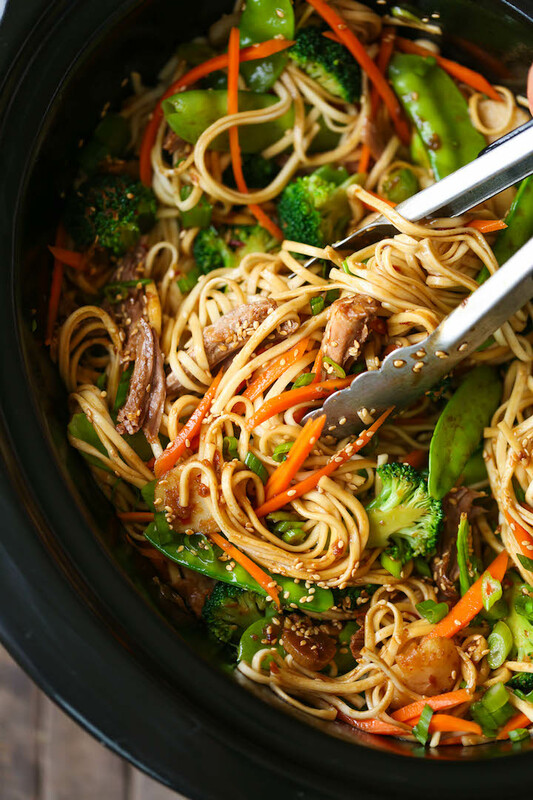 “Skip delivery and try this veggie-packed takeout favorite for a healthy dinnertime meal that is easy to make right in your crockpot!” Recipe: DamnDelicious. “Everyone’s favorite wrap made right in the slow cooker! The chicken is so tender, juicy and melt-in-your-mouth amazing!” Recipe: DamnDelicious. “SKINNY, lightened up and healthy enchilada bake!!!! Made right in the crockpot!!! So cheesy and yet guilt-free!! !” Recipe: DamnDelicious. 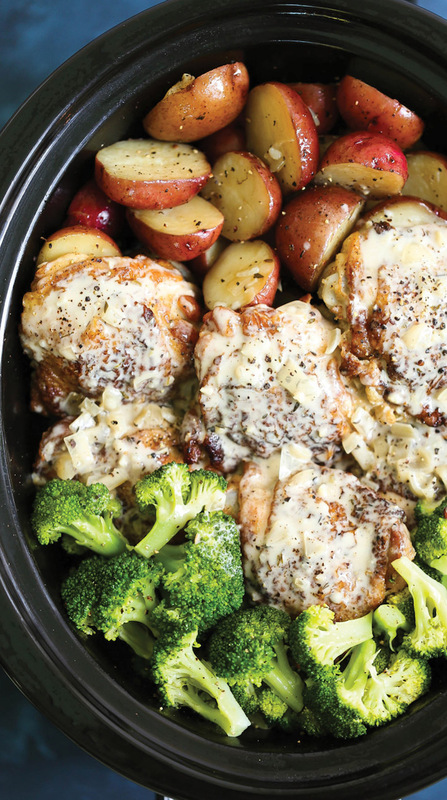 “A one pot crockpot meal! Tender chicken, potatoes and broccoli! Served with the creamiest garlic sauce ever!” Recipe: DamnDelicious. “Just 20 min prep! Then you can come home to a cozy, hearty, comforting butternut squash turkey chili in the crockpot!” Recipe: DamnDelicious. 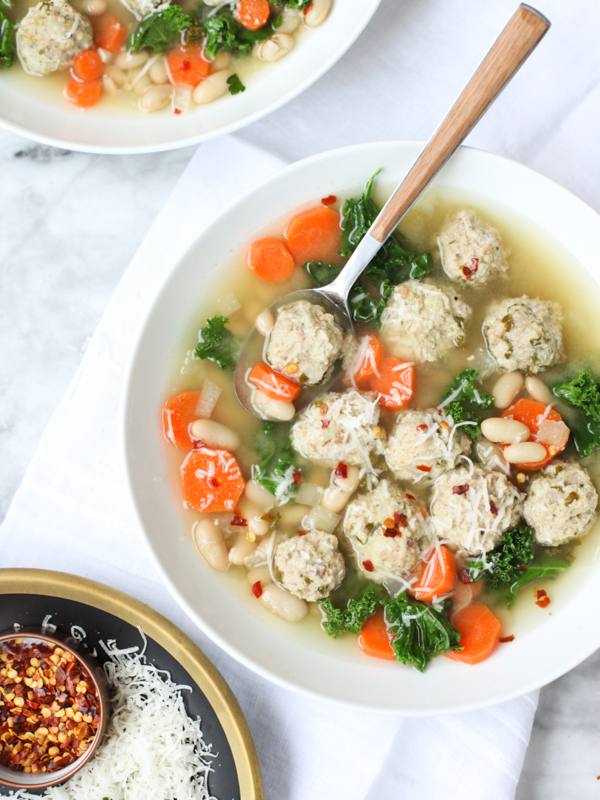 “This healthy spin on classic Italian Wedding Soup is made lighter with turkey meatballs, white beans, and plenty of kale, all in a light and comforting broth.” Recipe: FoodieCrush. “The easiest one pot recipe ever. Simply throw everything in and that’s it! No cooking, no sauteeing. SO EASY!” Recipes: DamnDelicious. 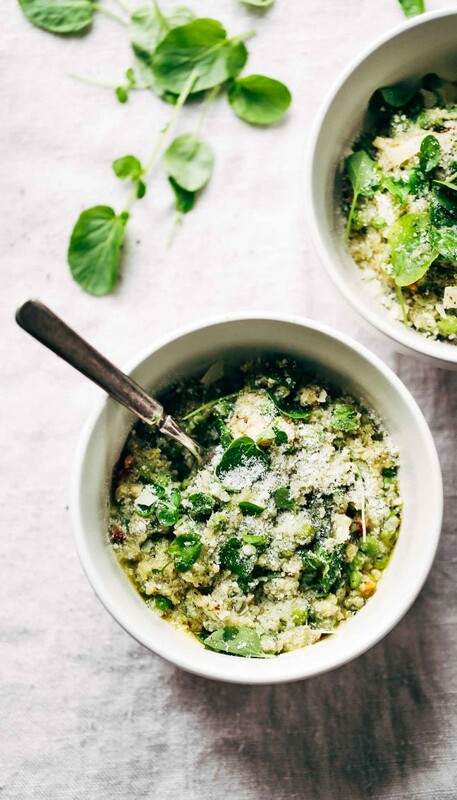 “We’re using quinoa in a whole new way with this slow-cooker risotto-style recipe”. Recipe: Delish. 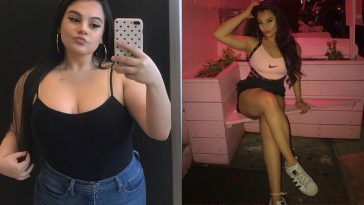 Previous article 23 Intense Cardio Workouts To Get Rid Of Stubborn Belly Fat! Next article How Emily Wingfield Lost Over 50 Pounds By Mastering Portion Sizes!